Android support comes to the BlackBerry PlayBook 2.0 | Android Blast! 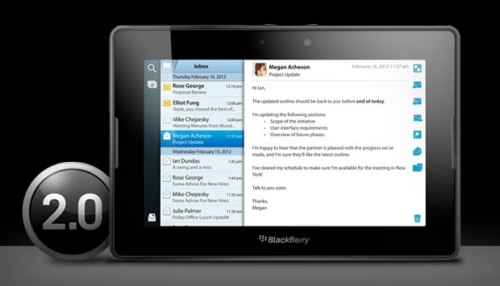 RIM updated the BlackBerry PlayBook today bringing version 2.0 of the OS to the masses. One of the long awaited features of the PlayBook has been Android app support, and it is now live. The PlayBook cannot run all Android apps, but can run Android apps that have been ported over to the BlackBerry App World. RIM has been aggressively enticing Android developers to port their apps over to the BlackBerry PlayBook, even giving away free tablets to those who participate in the program. The new BlackBerry PlayBook 2.0 update also brings native email, Twitter and Facebook integration, a new keyboard, and new home screen UI to the PlayBook.